LG is known more for its TV’s than anything else, they are a technology conglomerate that manufactures appliances, cell phones, home theatre, computer monitors, laptops and now tablets. The launch of the LG Optimus Pad with an 8.9 inch screen is their entry in the tablet wars. 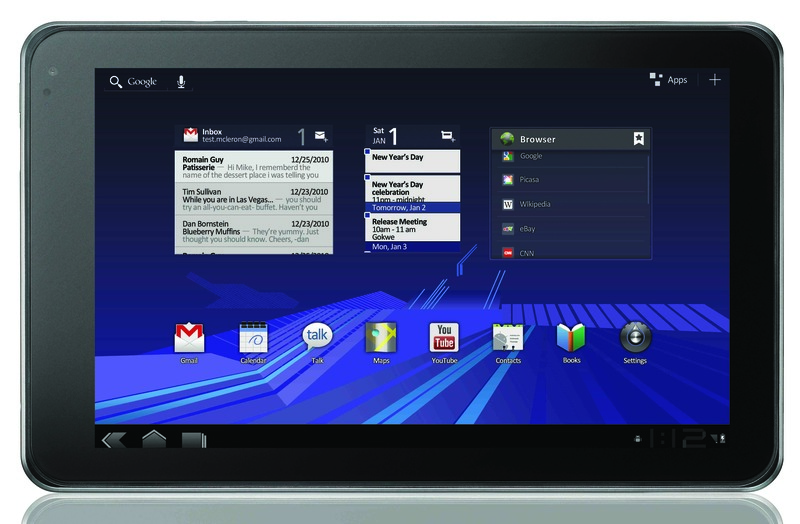 This is an Android-based tablet using Honeycomb (V3.0). This is the first tablet that has a 3D camera built into it that will enable you to create content for the 3D TVs that are now available on the market. The next technological disruption that publishers will face in the future will be 3D technology. We are on the second generation 3D TVs and now we are seeing 3D cameras in tablets and smartphones. There is even a LG smartphone that will give 3D images without the need for glasses. (I have not seen one at this time, so I reserve comment on the quality of the technology). It is just a matter of time that 3D screens will be available in tablets and the next generation of digital magazines will have 3D video incorporated into it to grab the attention of readers. its dimensions are 241 x 149.4 x 12.8 mm and weighs 625 grams. connect it to your computer or TV. The LG Optimus has fast download speeds via its 1 GHz dual core processor. It does not however support 3G, just wifi. To be a truly mobile device, 3G or 4G support is needed. People that I have talked to that got wifi-only tablets regret the decision. The telcos have reasonable pricing plans for 3G starting from $15/mo for 250 mg package that should enable you to use it when wifi is not available. I have 3G on my iPad and rarely use all the data limits, but I do not however download big files. The screen size is 8.9 inches diagonally, but its width is narrower versus other tablet as it is only 5.8 inches, which lacks enough real estate to read documents or websites for that matter. In attempt to differentiate itself from other tablets, they made a decision to create this size on the basis that it can fit in a purse and can be held in one hand. I guess the engineers at LG never tried to read a magazine or a PDF document. All websites I viewed reverted to the mobile version of the website when they were available so they were easy to read on this device. The captive touch screen worked flawlessly and the Android web browser is better than Apple’s by leaps and bounds for navigation as it supports tab browsing. As with all touch screens I have the problem of accidental touching that directs me to different web pages by accident that I find frustrating. The LG Optimus Pad apparently is only available through Rogers for $549 or $255 for a 3 year plan, which makes it scary for customers to buy. Rogers will try to hook you into a contract that you do not want, as it is bundled with a rocket stick. The tablet comes with a 3D camera which I found useless to use as the tablet did not support a 3D screen so we could not see how the video looked. Also the images when using the camera while shooting video were hard to see due to the different perspectives using two camera lenses. Ryan Winsborrow from Nerds4Hire felt this feature most likely was being used as a gimmick to help generate the sales of 3D TVs. It did however come with a word processing software app called Polaris which I liked a lot. The HDMI and USB ports make hooking up your tablet to your TV or computer a breeze. This is LG’s first attempt to build a tablet and at $549, it does not have an enough competitive advantages over other tablets in the marketplace at the same price point. It seems that the manufactures are afraid to start a price war which means that their marketing departments have their heads in the sand when it comes to pricing, as consumers will opt for the Apple iPad at the same price points. HP’s touchpad experience demonstrates this flawed pricing strategy as it forced them to exit the tablet market and liquidate all their touchpads at $99 that were sold out in 2 days. So we know the magic price point for tablets is not $549.